You might recognize this design from your childhood. The stress from going broke and losing your houses and property was likely too much for your little mind to handle at times. Flash forward to adulthood where you're buying suppressors and paying all the bills on time like a boss. 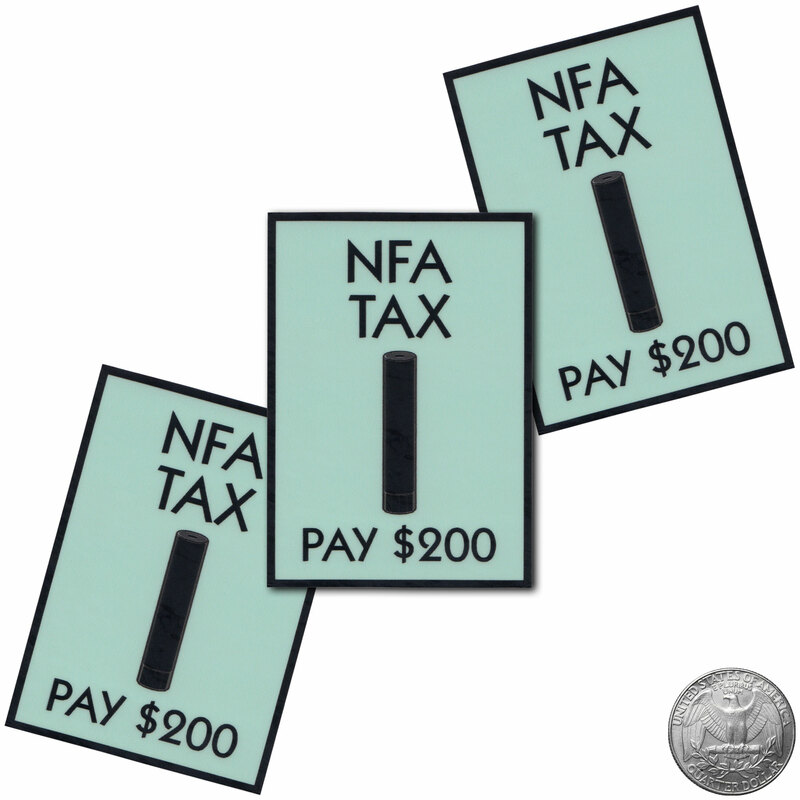 Make sure to pick up the NFA Tax t-shirt as well. Weatherproof vinyl with thick 100% UV protective matte finish. Perfect for outdoor or indoor use. free shipping"); $(".hat-price").html("$28");	$(".hat-price-comment").html("free shipping"); $("#notify-clickhere").html("out of your size?  click here"); $("#notify-clickhere-patch-sticker").html("sold out?  click here"); $("#notify-instr-tshirt").html("
ONLY BUY FROM PRIME SELLER ENDO TACTICAL INC.